Water hash is a favorite method of making concentrates employed all over the world. Its name comes from the water process used to collect glands from the trim, leaf, and buds. On a fundamental level, the process works because cannabinoids are not water soluble, meaning that the desired resins are not damaged by contact with water and ice. Water hash can be smoked as loose, granular resin or pressed into traditional hashish: High-quality loose hash can easily be pressed into hashish using nothing more than the palm of one hand and some light, brisk friction, applied using the thumb of the other hand. Loose or pressed, many people are still enthralled by the unique, full-spectrum experience of this potent natural product. First pass - hand pressed water hash: With multiple passes hand pressed water hash turns from green to tan in color. Photo by Lizzy Fritz. Water hash can be made in small or large quantities, and turnkey extracting systems can be purchased to simplify the process. It is also possible to make water hash using home-gathered equipment, but with inexpensive kits available, the savings are often negligible. Pre-made systems offer increased precision and efficiency for the water hash process, and their availability contributed to a surge in water hash’s popularity during the late 1990s and early 2000s. 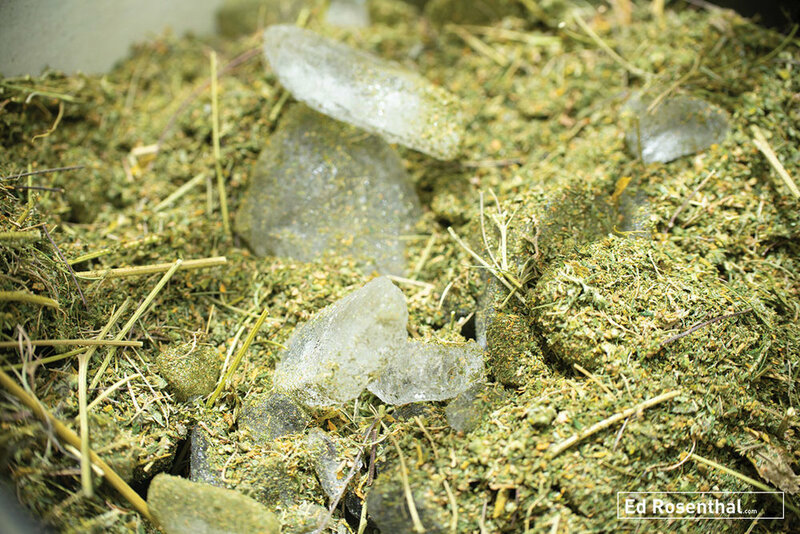 As with all extraction methods, cold temperature is a key element of water hash production. The ice keeps the water and material very cold so the glands remain brittle and snap off with agitation. After the material is agitated in ice water, it’s allowed to settle. Then the bags are separated, and the glands are removed from each one. After the water hash is dried, it’s ready to smoke. Water hash varies in color and can be many shades of white, brown, red, even purple. 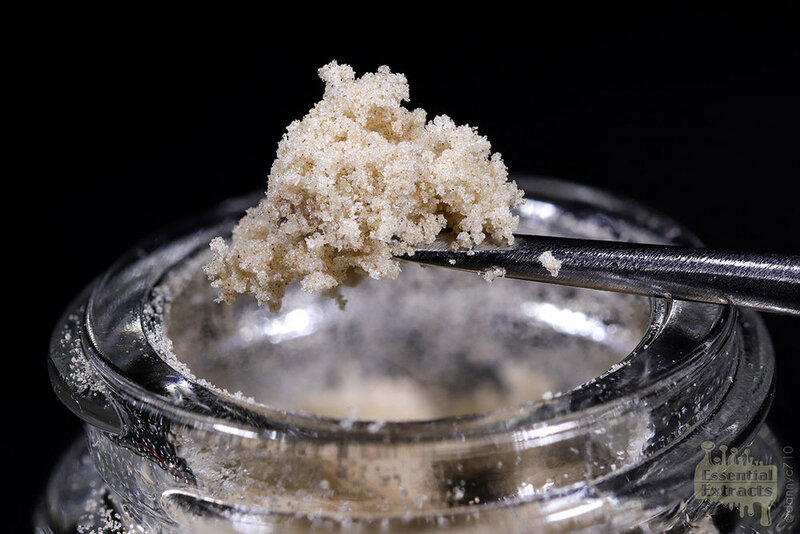 When extracted from the finest-grade material, the potency of water hash can test as high as many solvent hash products, with up to 80% cannabinoid content. All gland-bearing plant material (leaf, trim, buds, shake, or any combination of the four) can be used to make water hash. Dried or frozen material can also be used. When making water hash it is important to keep the material and the environment very cold. Heat is the enemy. 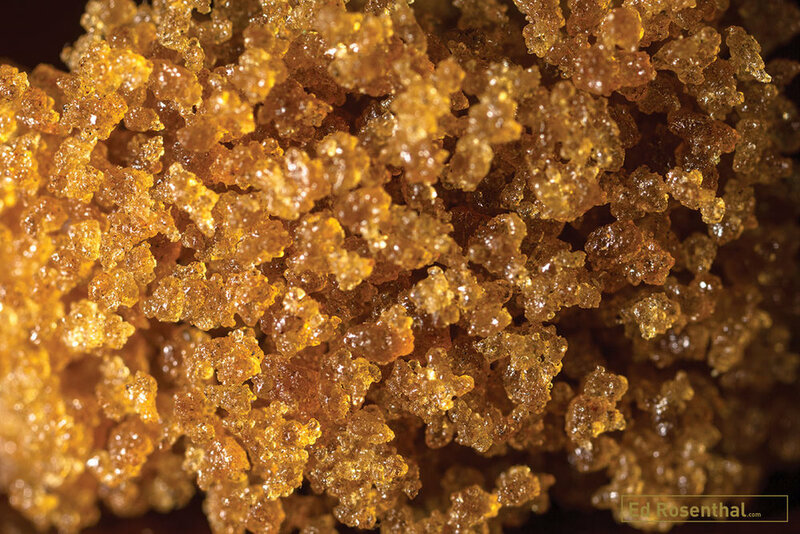 Low-temperature water, near freezing, makes trichomes brittle enough to snap off. A cool room keeps terpenes from vaping off. Humidity is also a factor. 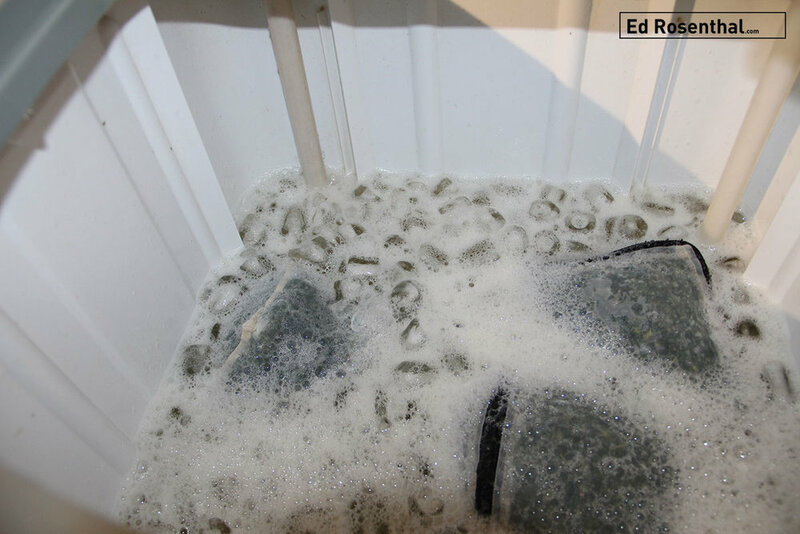 Avoid humid storage conditions to prevent deterioration from bacteria or molds. One method is to store wet or dried cannabis in the freezer. When using material that has not been stored in this way, place it in the freezer until it gets cold. It’s crucial to treat the cannabis delicately to preserve all of the glands and keep them on the vegetation. Take the utmost care when bucking buds from twigs and stems. Don’t mangle the material from excessive trimming or grinding. Coarsely chopped cannabis is most convenient. Remove twigs, stems, and twist ties, because they can tear the hash-making bags. Whether using a ready-made bag system or materials from your kitchen, the basic principles of making water hash are the same. There are slight contributions by technique, patience, and proficiency, but what primarily determines the quality of the hash you produce is the caliber of the plant material and the quality and size of the filter. Processing 227 grams of high-quality material usually yields between 18 grams (5% yield) to 35 grams (15% yield). Yields increase with the quality of the starting material. However, in some instances, such as with Tangie, obtaining a yield over 7% using water is nearly impossible. This is one reason solvent-based methods and other, newer extraction techniques have overtaken water processing in popularity. But there are considerations other than yield; the full-spectrum effects and natural flavor profile of water hash are unique because the process preserves the terpenes in the glands. For this reason, some people prefer high-quality water hash to solvent-extracted products.